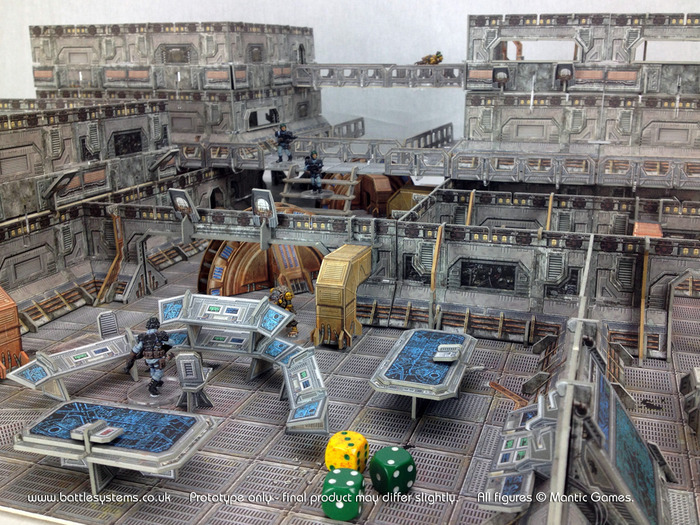 After a hectic first few days, the Battle System Sci-Fi Modular Terrain project appears to be settling down with a steady stream of backers. It has already reached over 3 times it’s funding goal, and has over 600 backers. 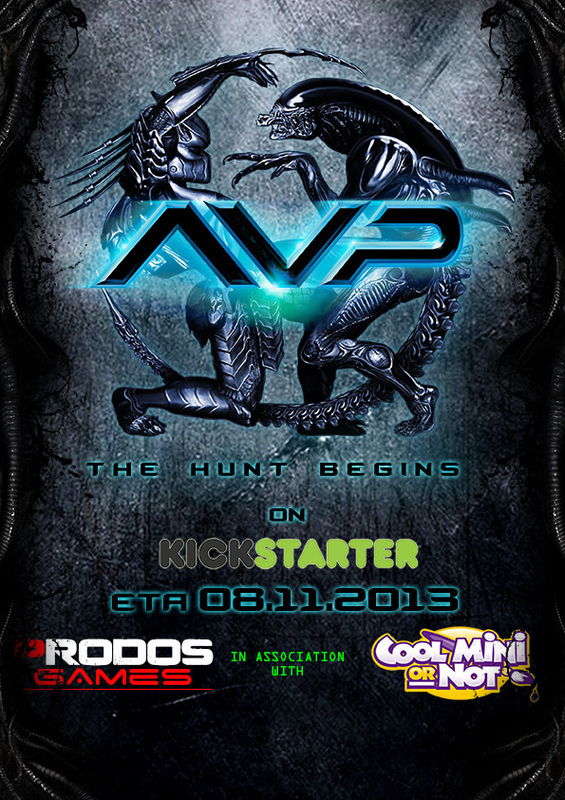 Prodos have been running a teaser campaign for their new AvP Miniatures Game for a couple of weeks now. The latest news is that the Kickstarter project will launch on November 8th – although the additional news of the involvement of CMoN has caused not a small amount of concern on various forums. It seems, according to various posts on the Dakka Dakka and Lead Avdenture forums, that previous KS projects that CMoN have been involved with have suffered a number of issues, from product quality to shipping delays and lack of communication. I’ve had no personal experience of this, but it is interesting that Prodos have been very quick to clarify that CMoN will only be handling US distribution, and that Prodos remain in control of the KS project and production. 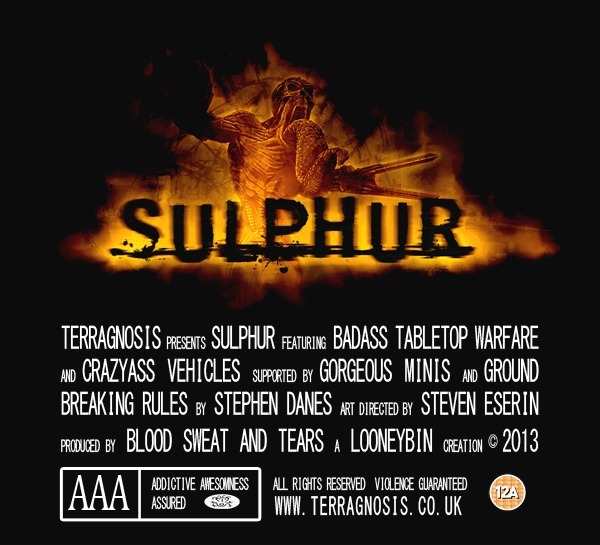 I have been keeping half an eye on the Sulphur KS campaign from Terragnosis ever since they first started posting teaser images. For a while things seemed to be going well, but it seems that after the initial burst of backing, funding for the project did not seem to be forthcoming, and Terragnosis have taken the decision to cancel the project. I believe they will now be looking to produce this range in a more limited fashion without the aid of KS funds, but any dates for this are obviously now much more in the future than they had planned. At a time when crowdfunding is perhaps being seen as a panacea for all wargaming projects, this event perhaps provides a timely warning to companies that it may be the quite the answer they are looking for – at least not in all cases. West Wind Productions have now finished shipping their Empire of the Dead Kickstarter pledges (and very nice they are too! ), and so they are free to start their next Kickstarter project. This will be called War & Empire, and is a new range of 15mm Ancients which will be produced via their Forged in Battle historical minis range. Rumour is that a new rule set will accompany this range. There are a number of painted miniatures on their Facebook page, but final details of the KS start date have yet to be announced. This computer-moderated fantasy miniatures wargame was my favourite game of a couple of years ago. 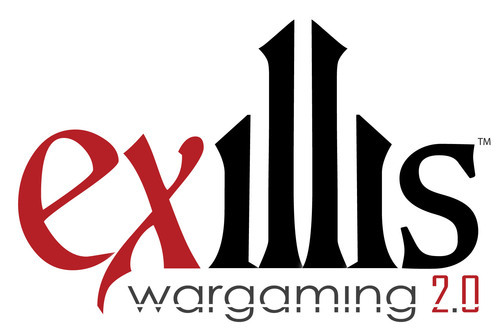 News was posted on the Forum a few weeks ago that this game is going to be relaunched via a Kickstarter project as a more traditional wargame with a rulebook, plus such changes as allowing proxy models and removing the DRM from their software. looking forward to the exillis KS, after playing it a few times I really want to see this game succeed. I am looking forward to see Exilis back in the saddle. It was an unususal idea with great models.